You know you that quality is the common denominator behind every Cold Steel creation, and that same quality is translated into this fine battle-ready Assegai spear. With an overall length of 81.5 inches, this oversized tribal spear provides extended reach and an extra-long shaft. The thick, hefty SK-5 carbon steel spearhead has a heat-treated black finish. 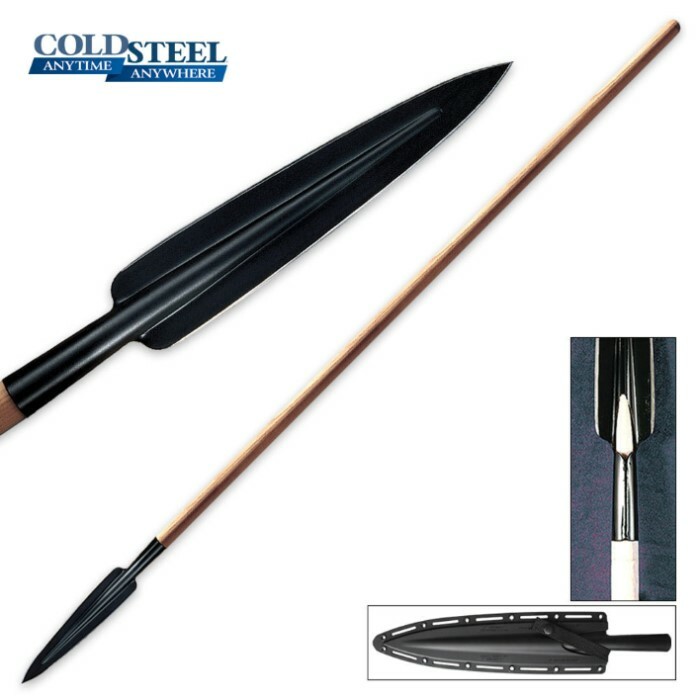 The hefty carbon steel construction provides extra durability that allows the spearhead to give when pressured, rather than snap like cheap imitations. The shaft of this spear is carved of genuine American Ash with a smooth, attractive finish. A Secure-Ex blade sheath is included.